Crusader Community Health is a community-based, not-for-profit community health center. Our mission is to serve the Rock River Valley area with quality primary health care for all people in need. In addition to general pediatric care and prenatal and pregnancy care, we provide adult primary care, women’s health, dental, optical, pharmacy, HIV, homeless, and health education services. All types of insurance accepted including Medicaid. Sliding scale fees for uninsured. WEST STATE: M and Th 8:30am-8pm; T, W, and F 8:30am-5 pm. BROADWAY: T and W 8:30am-8pm; M, Th, and F 8:30am-5pm; Sa 8:30am-noon. Kids Care Now walk-in Clinic for established pediatric patients open from noon-8pm M-F.
BELVIDERE: M, T, Th, F 8:30am-5pm; W 8:30am-8pm. LOVES PARK: M and Th 8:30am-8pm; T, W, and F 8:30am-5 pm; Sa 9am-noon. M-Th 9am-8pm and F 9am-5pm. F.W. SHAPPERT University Primary Care Clinic at Belvidere: M 9am-8pm; T, Th, F 9am-5pm; and W and Sa 9am-noon. University Primary Care Clinic at MOUNT MORRIS: M, T, Th, and F 9am-5pm and W 9am-noon. University Primary Care Clinic at ROCKTON: M, T, and F 9am-5pm; W and Sa 9am-noon; and Th 9am-8pm. Boone County Health Department offers a variety of services including WIC, a high risk pregnancy program, family case management, childhood immunizations, lead screening and assessment, preschool vision screening, school physicals, communicable infectious disease surveillance and control, health education, well, septic, and food sanitation, and emergency preparedness. Accepts Medicaid. Sliding scale fees vary by program. Open M-F 8-4:30. Provides well-child care, immunizations, school and sports physicals, daycare and preschool exams, care for minor illness and injuries, routine lab tests, medication prescriptions for identified health conditions. Clinic accepts Medicaid, sliding fees. M-F 8am-5pm. Most pediatric services via Rockford location. M-Su 7am-8pm; Holidays 10am-4pm. No appointments required. BELVIDERE: M-F 7:30am-8pm; Sa 7:30am-4pm; Su 7:30am-4pm. LOVES PARK: M-F 7:30am-8pm; Sa 7:30am-4pm; Su 7:30 am-4pm. MACHESNEY PARK: M-F 7:30am-8pm; Sa 7:30am-4pm; Closed Su. ROCKFORD – EAST STATE: M-F 7am-10pm; Sa 7:30am-8pm; Su 7:30am-8pm. 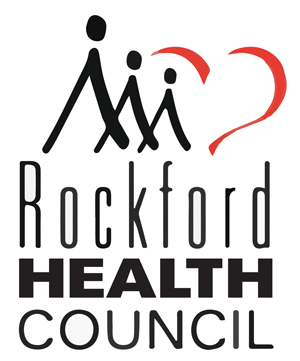 ROCKFORD – SOUTH ALPINE: M-F 7:30am-8pm; Sa 7:30am-4pm; Closed Su. ROCKFORD – MORSAY: M 7:30am-8pm; T and Th 7:30am-4pm; W and F 7:30am-6pm. M-F 5-9pm; Sa and Su 12pm-8pm. M-F 8am-4pm and Sa 8am-12pm. M-Th 5pm-8pm and Su 10am-4pm. WEST STATE: M-F 8:30am-5pm; extended hours M & Th 5-6pm by appointment only. BROADWAY: M-F 8:30am-5pm; extended hours T & W 5-6pm by appointment only. LOVES PARK: T & W 8:30am-5pm; W 10:30am-6pm. Milestone Dental Clinic is available to children and adults with a diagnosis of developmental disability. Dental clinic open M-Th 8-6. Offers evaluation and treatment of vision and hearing impairments for children and adults. Also offers communication assistive technology, interpretting services, instruction in Braille and sign language, and vocational assistance. Routine eye exams offered for children with special needs. Medicaid, Medicare, and private insurance accepted. Audiology Clinic open M-F 8-4:30. Vision Clinic open M-Th 9-4:30. Emergency interpretting services available 24/7. Also provides job search and on-the-job training for individuals who are deaf, hard of hearing, blind or low vision. CSH has a Simple Solution store with assistive technology devices for sale. Staff can help with computer and typing skills and assist with scheduling sign language interpreters and captionists for interviews, job training, meetings, classes, and other appointments. The Early Intervention program in Illinois is for families with infants or toddlers, age birth to 36 months, who have concerns about how their child is developing. A caring and knowledgeable Service Coordinator will meet with the family to explain parents’ rights, and help to determine what evaluations and assessments will be provided by qualified professionals at no cost to the family. If services are recommended, staff will assist in developing an Individualized Family Service Plan (IFSP) that will link the family to providers and supports they choose to help their child learn and grow. 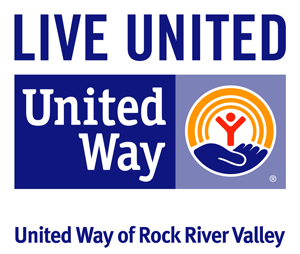 Provides a variety of vocational, employment, educational, social, and habilitative services for teens 16 years of age or older and adults with developmental disabilities living in Winnebago and Boone Counties and surrounding areas. Services include parent and auxillary groups, nursing services, occupational therapy, transportation, school transition services, behavior management, social and recreational opportunities, and outreach and advocacy. Programs include Hope Industries, Workshop, Vocational Development, Education and Training Center with a variety of multiple training opportunities, Community Employment Services, Sensory Integration, Moments Remembered, and Volunteer Center. Offers equine (horse) therapeutic riding, hippotherapy, and carriage driving programs for individuals with various disabilities and their families starting at 4 years of age. Also offers traditional speech-language pathology, occupational therapy, and physical therapy services at the Poplar Grove site. Offers programs for children and adults, including their families, with Down Syndrome and other disabilities. Programs include literacy, crawlers, 0-2, walkers, hop-skip and jumpers, playhouse pals, kids club, open play, and parent orientation. Works to educate people about and empower people with Down Syndrome and other disabilities. Developmental therapists, OT, PT, speech therapy involved, but not in place of therapy services. No fees. M-F 10-2 and other select times. Provides services to children with developmental and behavioral challenges including: medical diagnostic; NICU follow-up (RMH NICU graduates only); child psychology; and pediatric physical, occupational, developmental, speech, and aquatic therapy services. Medicaid accepted. Need referral from primary care physician. Not taking new patients for child psychology at this time. M-F 8-4:30. Provides pediatric physical; occupational; aquatic; speech&language; and oral motor/feeding therapies. Medicaid accepted. Need referral from primary care physician. Open M-Th 8-5, F 8-12. Private speech therapist office. Does not accept Medicaid. Pending insurance, may need referral from primary care physician. T-F 8-5. Local Shriners association providing screenings and connections to the Shriners Hospital of Chicago for children from birth-18 years of age with orthopedic, spinal cord injury, burn, and cleft lip/palate problems. No fees. M-F 10-4. DSCC can help families arrange, coordinate and pay for a child’s specialized medical treatment when the child has an eligible medical condition and certain financial criteria are met. Any Illinois child from birth to age 21 may qualify for no-cost diagnostic services. Telemedicine consultations with UIC ear, nose, and throat physician available on specific clinic days. Call for more information. A child must have, or be suspected of having a treatable chronic condition in one of the following categories to be medically eligible for services: Orthopedic; Heart Defects; Hearing Loss; Neurological; Craniofacial or Cleft Palate Defects; Hemophilia; Cystic Fibrosis; Certain Metabolic Conditions; Eye Impairments; and Urinary System Impairments. No fees. M-F 8-4:30. Epilepsy Foundation of North/Central Illinois, Inc. The Epilepsy Foundation North Central Illinois, Iowa, and Nebraska exists to prevent, control and cure epilepsy through services, education, advocacy and research. Their mission is to ensure that people with seizures are able to participate in all life experiences. ~Individualized information, assistance and referral. Local clearinghouse for information about diabetes mellitus educational programs, workshops, health fairs, screenings, nutrition, treatment advances, and research.